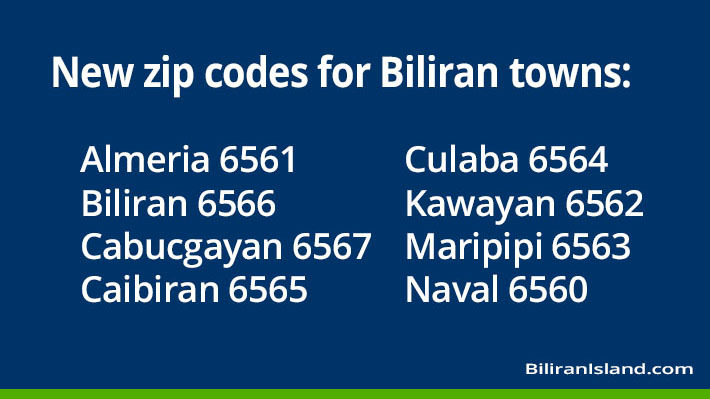 New Zip Codes for Biliran towns. paano pag ang lumang zip code ang nagamit? return to sender po ba? unsa may hinungdan nga ng alisid man ug “zip code”. After contacting the Philippine Postal Corporation, PHLPost, they stated the their official position is that the zip code for Naval is 6543!